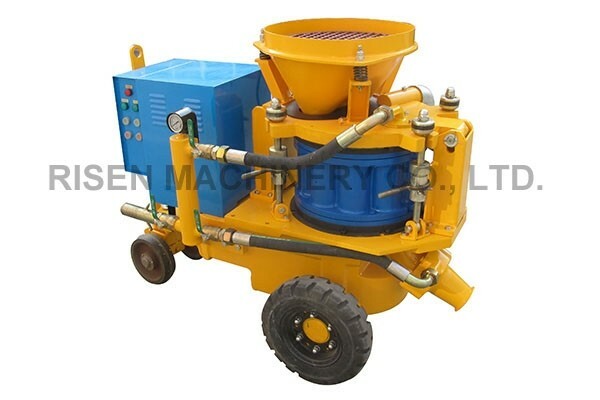 A small-size rotary shotcrete machine, to spray the dry or damp concrete mixture in tunnel, under mine, deep-foundation engineering, slope engineering, swimming pool etc. 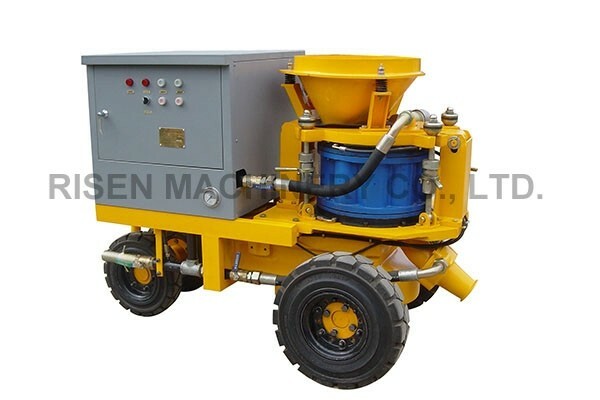 RISEN PZ-3 is a small size rotary shotcrete machine, to spray the dry or damp concrete mixture. 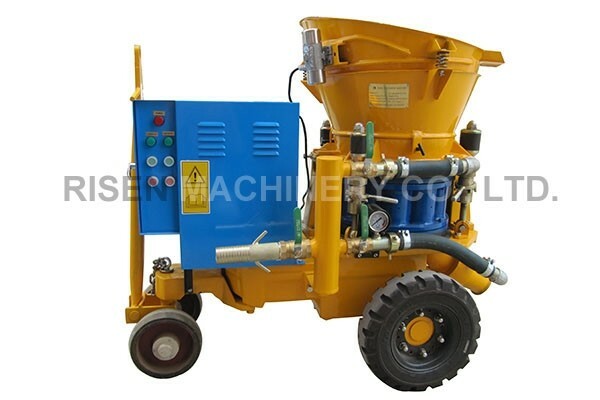 And, it has been designed especially for steel fibre spraying. 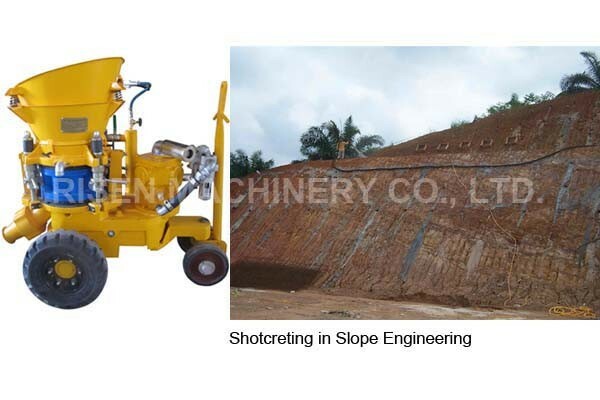 ● Shotcreting for tunnels, hydro-power engineering, mines, underground engineering, civil engineering and slope stabilization, etc. 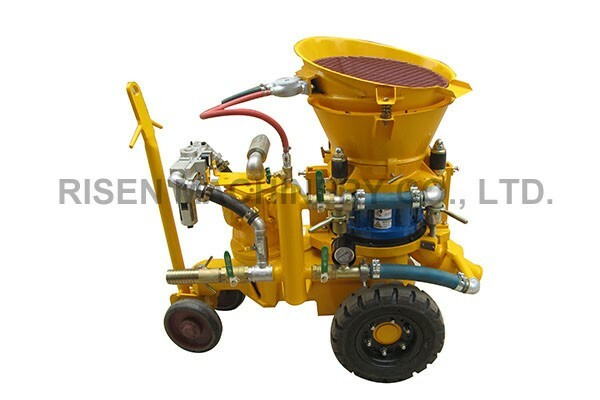 ● Artificial soil seeding for no soil surface, such as rock, sand, and for no fertility soil surface. 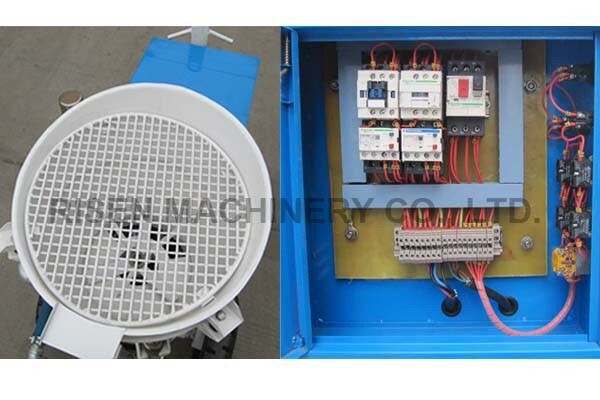 ● Refractory spraying and repair for industrial kilns or kilns’ inner liner. 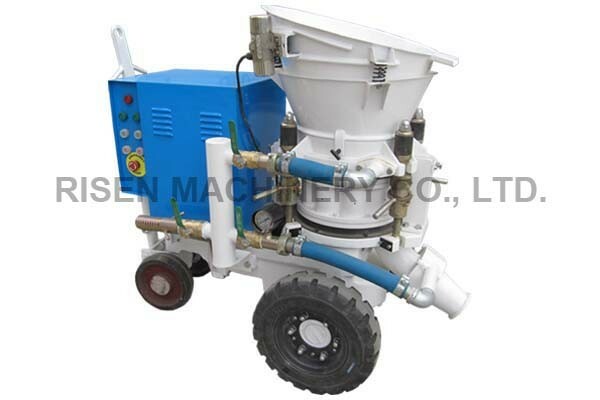 ● Thin follow conveying method with vortex flow, so the spraying flow is even, continuous and steady, to improve the shotcrete quality. 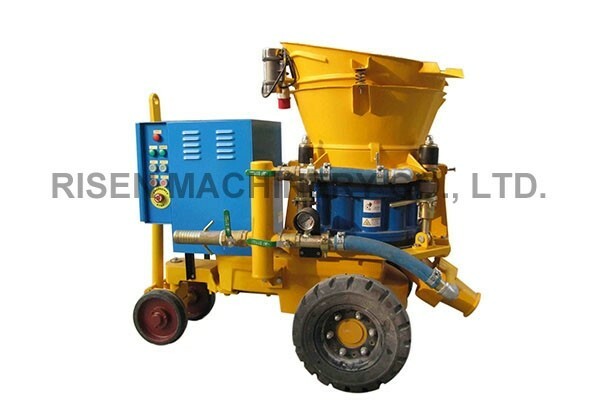 ● Particularly used for dry, damp mix and steel (polymer) fibre reinforced shotcrete. ● Complies with the essential health and safety requirements of the Directive 2006/42/EC. Note: *Air motor or diesel engine is optional. ● Painted after sandblasting for a pretty appearance. *Leave your details,we will reply as soon as possible!